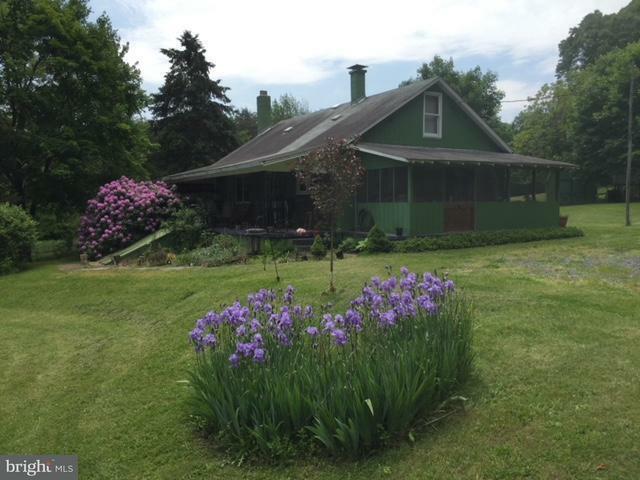 OVER 50 ACRES of privacy with this cozy country cabin! A great hunting area, or vacation home, or full time residence! Home has 3 bedrooms including large 2nd floor to house multiple beds/bunks! Enjoy the wrap around porch to relax and drink your morning coffee or evening wine in the great outdoors! Kitchen has plenty of cabinet space. Good sized living room. Fantastic unfinished basement with wood furnace to supplement heating! Screened in porch! Located down a private lane of only two residences, there is no traffic and an abundance of wildlife, including deer and a bear crossing! May sell with furniture for a move in ready cabin! Only 20 minutes from Raystown Lake! Established gardens and fruit trees (pear, apple, peach) on the property. Tree stands also included! 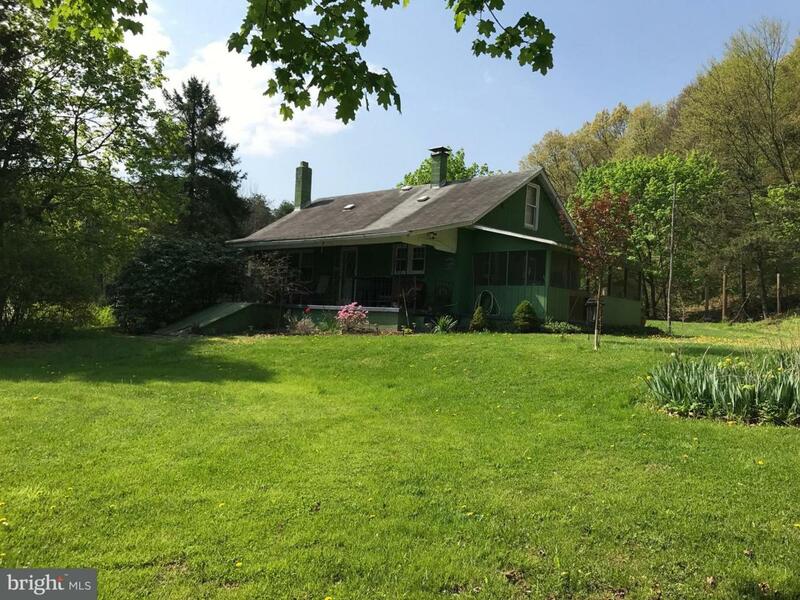 Approximately 4 acres of lawn and 48 acres wooded! About 30 acres flat and 20 acres hill. Spring fed well at 25 gallons per minute! If you love the outdoors, hunting, or just a family vacation area to retreat, make an appointment to view all this property has to offer!